The Provincial Grand Lodge of Stirlingshire dates back to 1745. Provincial Grand Lodge is situated in Central Scotland and consists of twenty three Lodges stretching from Lodge Loch Lomond in the West to Lodge Craiginnan, Dollar in the North East to Lodge Slamannan in the South. Detailed information about each Lodge can be found by clicking either on the red dots on the map below or from the drop down menu. 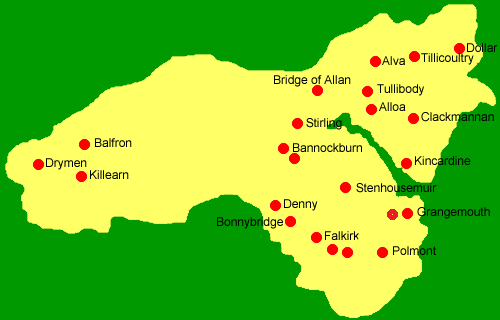 For a list of Stirlingshire Installations click here.